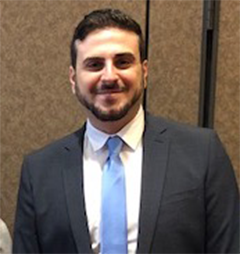 Third-year student Alexander Stirpe was recently accepted by the American College of Physicians to attend their conference and present his case report in an Oral Clinical Vignette competition at the University of Illinois – Chicago. Stirpe represented Mercy Hospital & Medical Center and Saint James School of Medicine, competing against 28 other hospitals in the region. He went through an extensive literature review and created a PowerPoint for the presentation and placed first in the competition. He was the only student-representative from Mercy, which makes this win truly outstanding.